Welcome to the June 20, 2018 edition of ACM TechNews, providing timely information for IT professionals three times a week. Fewer children in the U.K. are developing the digital skills that employers and government say are vital, according to the University of Roehampton's annual computing education report, which looks at how many students achieved General Certificate of Secondary Education (GCSE) and A-level computing qualifications in 2017. 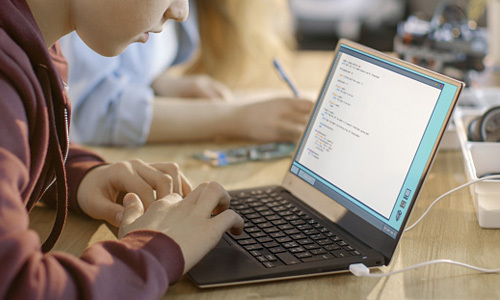 Although Information and Communication Technology is being phased out of the curriculum and will disappear after this summer as an extra subject, its replacement at GCSE and A-level concentrates on much more challenging computer science lessons. The report notes this subject is proving difficult for students to complete, and for schools to find qualified staff to teach it. In 2017, slightly more than 50% of schools in the U.K. offered computer science at the GCSE level, and only 12% of students chose to take the subject. In addition, girls make up only 20% of computer science students at the GCSE level. The U.S. National Aeronautics and Space Administration (NASA) is pursuing a combination of additive manufacturing (also known as three-dimensional/3D printing) techniques to enhance the fabrication of rocket engine parts. The Low-Cost Upper Stage-Class Propulsion project helped the agency conduct a successful hot-fire test of a combustion chamber at the Marshall Space Flight Center in Huntsville, AL. 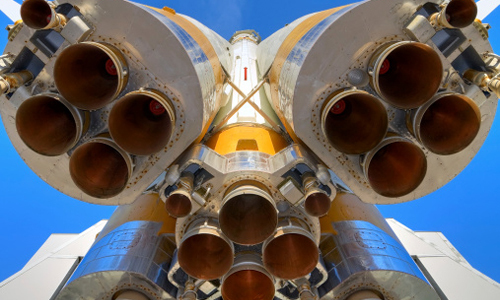 "We demonstrated that the E-Beam Free Form Fabrication produced combustion chamber jacket can protect the chamber liner from the pressures found in the combustion chamber," says NASA's John Fikes. NASA in 2015 produced the first full-scale, 3D-printed copper combustion chamber liner using a powdered copper alloy. Afterwards, the liner was subjected to a layer-additive process employing an electron beam and wire to deposit a nickel alloy onto the liner, to create the chamber jacket. The technology for the liner and jacket will be included in the new Rapid Analysis and Manufacturing Propulsion Technology project, with the goal of improving production time and costs for thrust chamber assemblies. 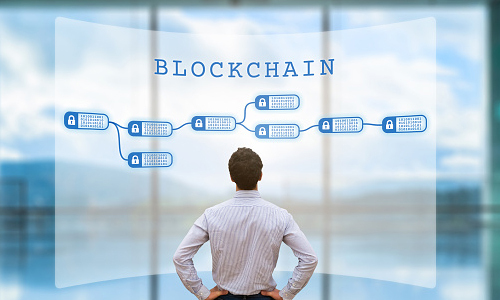 About 7,400 University of California, Berkeley (UC Berkeley) students so far have enrolled in a forthcoming online professional certificate program for blockchain. The new course marks the first time the university has offered this program to students wordwide via an online platform. The main thrust of the program is to produce students who have fundamental literacy in blockchain and the basic knowledge needed to enter any type of technical or non-technical blockchain profession. "I think blockchain as a whole is very good at solving coordination failures," says UC Berkeley's Rustie Lin. "One of my favorite one-liners: blockchain is a technical solution to a social problem—social coordination." The city of Portland, OR, plans to reduce traffic related fatalities by equipping streetlights with sensors programmed to constantly detect speed and motion data. 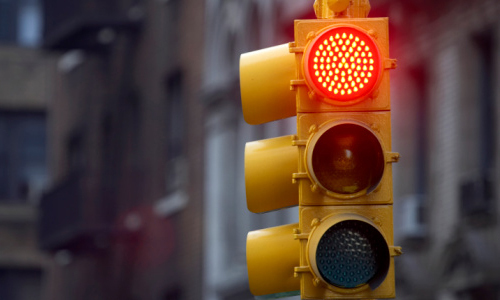 AT&T, Intel, and GE's Current arm are contributing to the city's Traffic Sensor Safety Project, which AT&T's Michael Zeto says will integrate cameras, microphones, and environmental sensors. This project dovetails with Portland's Vision Zero goal to eliminate all traffic fatalities and severe injuries, while increasing safe, equitable mobility for all. The devices will not capture or record any video; Zeto notes they use onboard computer-vision software to recognize objects and pass along only that resulting analysis. He also says the system will not disclose any "personally identifying information," and that cities can opt to store up to a week of video. However, the devices are not designed to transmit raw or streaming audio, video, or other data to central services. Researchers at the University of Oxford in the U.K., working with Dutch medical robotics firm Preceye, have developed a robot that can perform eye surgery on humans. The team used the robot to help six participants who needed a membrane removed from their retina to improve their vision. The procedure involves excising a collection of cells that have clumped together. The robot has a moveable arm directed using a joystick-style controller; it can be fitted with various surgical instruments, and filters out tremors from the surgeon's hand. Twelve participants received the surgery, with six being worked on by the robot, and six receiving treatment from a human surgeon; all the operations were deemed successful. Although the robotic approach took nearly three times as long as performing the surgery manually, the researchers attribute this to the fact that the surgeons were new to using the robot and were being cautious. Massachusetts Institute of Technology researchers have reduced the size and power consumption of a computer chip they designed in 2017 to help honeybee-sized drones navigate. The new chip, called Navion, measures only 20 square millimeters, and consumes just 24 milliwatts of electricity to process camera images in real time at up to 171 frames a second, as well as taking inertial measurements to determine the drone’s location and orientation. The team says the chip can be integrated into nanodrones as small as a fingernail to help the devices navigate, especially in remote or inaccessible places where global positioning system (GPS) data is unavailable. The researchers were able to shrink the chip’s size and power requirement by rebuilding it from the ground up, instead of reconfiguring its earlier design. University of Campinas (UNICAMP) researchers in Brazil have developed a platform that can diagnose certain diseases with great precision using metabolic markers found in patients' blood. The platform relies on mass spectrometry and an artificial intelligence (AI) algorithm that can find patterns associated with diseases of viral, bacterial, fungal, and even genetic origin. Using infection by Zika virus as a model to develop the platform, the researchers found its diagnostic accuracy exceeded 95%, says UNICAMP's Rodrigo Ramos Catharino. The researchers analyzed blood samples from 203 patients, among whom 82 were diagnosed with Zika using existing methods. Samples were analyzed in a mass spectrometer, and the resulting data was fed into a computer program running a random-forest machine learning algorithm, which revealed a panel of 42 biomarkers critical to identifying Zika. The researchers are testing the platform's ability to diagnose systemic diseases caused by fungi, and want to expand its capabilities to include bacterial and genetic diseases. The team hopes to make the platform available in the cloud so it can be downloaded to any mass spectrometer worldwide, says Catharino. A new method to interpret messages via haptic sensations has been pioneered by Purdue University, the Massachusetts Institute of Technology, and Facebook. Purdue's Hong Tan led development of the technique, which allows people to receive messages by learning to read tactile signals through the skin of their forearm. "Imagine a future where you're able to wear a sleeve that discreetly sends messages to you—through your skin—in times when it may be inconvenient to look at a text message," says Tan. Participants wore a cuff around their forearm in conjunction with a device equipped with 24 tactors (actuators) that emitted vibrations against the skin. Tan says 39 English phonemes were mapped using signals from specific tactors, and 12 participants learned haptic symbols via this technique, while another 12 learned using a word-based system with the signals on their arm. Results indicated the phoneme system outperformed the word-based approach by providing a more consistent path for user learning in a shorter period of time. Researchers led by the University of Cambridge in the U.K. have developed an algorithm that monitors the joints of arthritis patients to detect small changes, which could lead to better insights into osteoarthritis development and more precise evaluation of new treatments, while making invasive tissue sampling redundant. Cambridge's Tom Turmezei said the research team used images from a standard computed tomography (CT) scan that generates three-dimensional images; the images were analyzed to spot changes in the space between the bones of the joint under investigation. Tests of the algorithm on human hip joints donated for medical research showed it was at least twice as sensitive as the current de facto joint imaging standard, which uses x-ray images. "Using this technique, we'll hopefully be able to identify osteoarthritis earlier, and look at potential treatments before it becomes debilitating," Turmezei says. A team from Virginia Polytechnic Institute and State University (Virginia Tech) received first prize in the third annual 2018 agBOT Challenge in Indiana. Their task was to build an autonomous system for locating, identifying, sorting, and harvesting ripe watermelons in a field. The Virginia Tech group included a mechanical engineering senior design team to design and build such a harvester, and a special studies team to create an autonomous vehicle to tow the harvester. The group incorporated computer vision and machine learning into the tow vehicle so it could locate watermelons; if melons were not in sight, the vehicle employed way-point navigation to navigate the fields. Upon spotting a melon, the machine's cameras guided it toward the target, and then the harvester determined ripeness by slapping the fruit and listening for a hollow sound via a microphone and audio analysis. 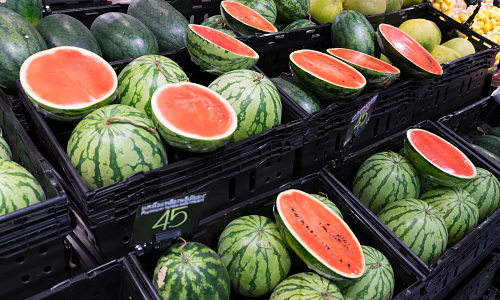 Watermelons that satisfied the frequency indicating ripeness were scooped into a storage unit. Researchers at Stanford University, working with colleagues at the Technical University of Munich in Germany, the University of Bath in the U.K., France-based Technicolor, and other institutions have developed an artificial intelligence-based system that uses input video to create photorealistic reanimations of portrait videos. The data from the source videos, which are created by a source actor, is used to manipulate the portrait video of a target actor. In addition, the new Deep Video Portraits system enables a range of movements, including full three-dimensional head positions, head rotation, eye gaze, and eye blinking. Deep Video Portraits uses generative neural networks to take data from the signal models and calculate the photorealistic frames for a given target actor; secondary algorithms are used to correct glitches, giving the videos a highly realistic appearance. The research will be presented in August at the ACM Special Interest Group on Computer Graphics and Interactive Techniques Conference (SIGGRAPH 2018) in Vancouver, Canada.